How powerful our eyes are, though on average the size of the eyeball is only about an inch in diameter and weighs around 0.25 ounces, 80% of sensory information our brains receive is from the eyes. Human eye works much like a digital camera. Light is primarily focused by both the cornea and the crystalline lens then reaches the retina which acts as an electronic image sensor of a digital camera, converting optical images into electronic signals. The optic nerve then transmits these signals to the visual cortex- the part of the brain that controls our sense of sight. Amazingly, they allow us to see 10 million colors. However, many abuse and neglect their eyes. Astigmatism is a common type of refractive error. It is a condition in which the eye does not focus light evenly onto the retina, the light-sensitive tissue at the back of the eye. Astigmatism frequently occurs with other vision conditions like nearsightedness (myopia) and farsightedness (hyperopia). Together these vision conditions are referred to as refractive errors because they affect how the eyes bend or “refract” light. Farsightedness, or hyperopia, as it is medically termed, is a vision condition in which distant objects are usually seen clearly, but close ones do not come into proper focus. What are the causes/risk factors of myopia? 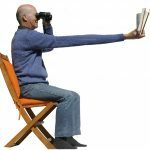 Presbyopia is a vision condition in which the crystalline lens of your eye loses its flexibility, which makes it difficult for you to focus on close objects. When you are younger, the lens of the eye is soft and flexible, allowing the tiny muscles inside the eye to easily reshape the lens to focus on close and distant objects. Yes. It is common to have presbyopia and another type of refractive error at the same time. 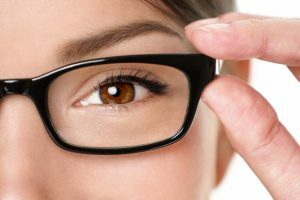 There are several other types of refractive errors: nearsightedness (myopia), farsightedness (hyperopia), and astigmatism. An individual may have one type of refractive error in one eye and a different type of refractive error in the other. A cataract is a clouding of the lens in the eye that affects vision. 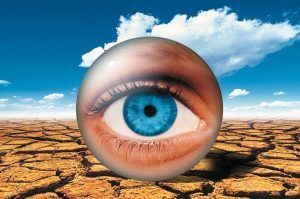 The natural lens consists mostly of water and protein. When the protein clumps up, it clouds the lens and reduces the light that reaches the retina. Conjunctivitis or more popularly known as sore eyes is the inflammation of the thin, clear covering of the eye and the inside of the eyelids (conjunctiva). Although the conjunctiva is transparent, it contains blood vessels that overlay the sclera of the eye. Anything that triggers inflammation will cause these conjunctival blood vessels to dilate. This is what causes red eyes. What are the types of conjunctivitis and their signs and symptoms? Viral Conjunctivitis: Watery, itchy eyes; sensitivity to light. One or both eyes can be affected. Highly contagious; can be spread by coughing and sneezing. Bacterial Conjunctivitis: A sticky, yellow or greenish-yellow eye discharge that may cause eyelids being stuck together when you wake up. One or both eyes can be affected. This is contagious usually by direct contact with infected hands or objects that touched the infected eye. Allergic Conjunctivitis: Watery, burning, itchy eyes; often accompanied by stuffiness and a runny nose, and light sensitivity. Both eyes are affected. Not contagious. Dry eye syndrome is typically a progressive condition. It occurs when the eye is not making enough tears, or the tears are not in the proper consistency and so rapidly evaporates. Depending on its cause and severity, it has different mode of treatment. Dry eyes may not be completely cured but can be managed successfully with appropriate treatment and patient compliance. Glaucoma is a disease in which damage to the optic nerve leads to progressive, irreversible vision loss. 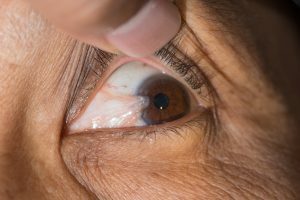 In most cases, glaucoma is associated with higher-than-normal pressure inside the eye — a condition called ocular hypertension. But it also can occur when intraocular pressure (IOP) is normal. If untreated or uncontrolled, glaucoma first causes peripheral vision loss and eventually can lead to blindness. Glaucoma often is called the “silent thief of sight”. Most types do not produce any symptoms until there is noticeable vision loss. But with the acute angle-closure glaucoma type, usual symptoms are blurry vision upon awakening, haloes around lights, intense eye pain, nausea and vomiting. This is an emergency condition and prompts immediate action. Keratoconus is a progressive eye condition in which the normally round outer transparent portion of the eye (cornea) becomes thinner and cone-shaped. This cone shape deflects light as it enters the eye causing visual distortion. It’s incidence in the general population is 1:2000. 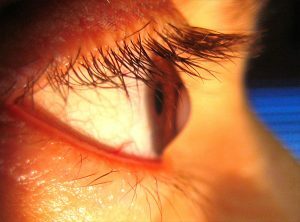 Keratoconus is mostly diagnosed during puberty to the 2nd decade of life. What are the signs and symptoms of keratoconus? 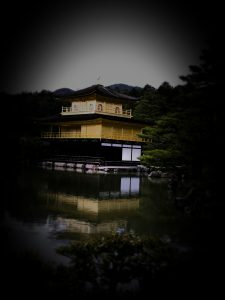 Isolated population demographics such as those isolated in religion, tradition and geography. 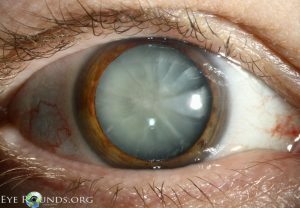 Some patients mistook pterygium as cataract. 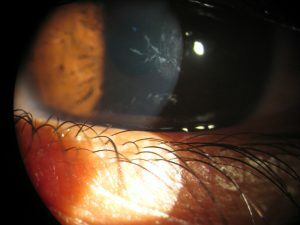 Pterygium is actually a benign growth on the clear, thin tissue (conjunctiva) of the eye and may encroach towards the cornea, covering the pupil. It is often slightly raised and contains blood vessels. Mostly seen in people who are always outdoors.